Hill climb intervals are probably my favourite type of training. I generally do some kind of hill climb intervals from February to the end of the hill climb season in October. At this time of the year (spring), my 5 minute power is well down because I spend most of the winter focusing on endurance. Even I feel like a break from hill climb intervals in Nov, Dec and Jan. Because I’m starting from a relatively low base, it means that even a few hill climb intervals can see a big improvement in power output. 3 * 1 minute intervals at 95% – this is about 400 watts. They are not completely ‘eyeballs out’ I like to break myself in a bit more gently. 7 * 4 – 5 minutes. To make it more interesting, I do intervals up real hills. The hill climb may last between 3 and a half minutes and 5 minutes, depending on where I’m training. I do the first one really hard, but not 100% as if I was doing a hill climb. I’m most interested in maintaining high power towards the end of interval and towards the end of the interval session. A good indicator of form is how I go during the 6th or 7th interval. In that sense the intervals get harder as you progress towards the end because the muscles are tired and you are carrying around more lactic acid. If my FTP is 290, I might be doing these intervals at 350 watts. – Or 20% harder than an effort during an hour’s constant time trial. In between these intervals I ride at a recovery pace. Gently spinning to try and get rid of the lactic acid. In a typical interval session, it might take 2 and half hours and take 50 miles. At this time of the year, I might just do one a week. In peak hill climb training season, perhaps two. Generally, I need an easy day before and after to get the most from them. To be honest, if I really do a proper hill climb interval session, you don’t feel like doing anything other than a recovery ride the next day. After the interval session, I recommend some stretching especially of hamstrings. One way to train for an hour time trial is to train for an hour and see how fast you can do it. Intervals are deliberately training for a shorter time so you can ride at a level higher than what you can maintain for a long time. Train different muscle fibres. In road races and even short distance time trials (25 miles), you will be using all three muscle fibres – slow twitch, fast twitch and super-fast twitch. Hill climb intervals are a way to train all three. You don’t get this training effect, just by riding hard for an hour. Get used to dealing with lactic acid. My main early season target is several hilly time trials. These interval sessions replicate hilly time trials quite well. The only difference is that I’m not racing in between hills – only when going up the hills. Now I have a power meter I do spend a bit of time looking at the power meter to try and gauge effort and smooth over the effort during a climb. This generally involves, holding back a little at the bottom, but then making an even bigger effort towards the end of the interval to maintain the power. I think a power meter is useful in the sense it shows what you are actually putting out. I didn’t realise how easy it is for power to peter out, when the slope eases off at the top. On the downside having a power meter slightly detracts from the ‘purity’ of just riding as hard as you can. It is possible, I might have felt better about an interval, if the power meter hadn’t been telling me that my power was lower than I would like. But, then sometimes during interval session, you get tired of looking at power meter and you just concentrate on riding the hill. There’s a lot to be said for just riding on feel and they looking at data after the ride. Hill climb intervals are by definition painful. That’s part of the challenge / enjoyment. Maybe it’s in a hill climbers DNA, but I have to admit I kind of really look forward to the effort of doing them. There is something that really enjoys riding on the edge for four to five minutes. I guess you have to have a similar attraction to intervals otherwise it would be very hard to do them. Though yesterday, I was just full of lactic acid for the whole session and a couple of hours after, that wasn’t particularly nice. A good question is when do you stop doing your intervals? Do you ride a set number whatever? Or do you stop when you feel you’ve done enough? From a personal perspective, I only start off with a rough idea of how many I will do. Whilst I can do a good quality interval I generally keep going. But, there usually comes a point, when I know my legs are gone, and I couldn’t ride for 5 minutes at above FTP. I will definitely stop. There’s no point beating a dead horse so to speak. It’s also worth bearing in mind, it’s not all about this one interval session. If you really beat yourself up doing a 100 intervals, you will compromise future training sessions. It’s better to leave just a little bit, concentrate on recovery and then you will be able to train again sooner. I’ve also been carrying a few hangovers from my Jan accident, like a marginally tight hamstring so this is another reason not to overdo it. The number of intervals is very individual. In my first seasons training, all I could manage was about three intervals, then I was completely popped. After years of riding and training, that number has steadily gone up. Last year I did some pyramid intervals which would simply have been impossible without considerable endurance and base training, built up over several years. It also varies depending on the time of the year. The first hill climb interval of the year, is generally a short affair, just a couple to get back into it. When the season hots up and I really want to peak, I will add more shorter hill climb intervals before the longer 5 minute intervals. In the hill climb season of August, September and October, the intensity of the intervals will increase. At this time of the season, I will also be cutting down on mileage and focusing more on intensity. Several sprint intervals of 15 seconds – high cadence – 100% all out. after a suitable period of recovery, I will move onto 1 minute intervals. Again high cadence – 100% all out. Up to nine of these. The third session is to move onto the five minute intervals. These are based on Gordon Wright’s pyramid interval training, that he used to good effect with Stuart Dangefield. For more detail on the science behind that, there is a longer paper on this here. As you can imagine this is a really hard interval session and requires considerable motivation. In early season, I generally don’t do full pyramid interval sessions. However, I try to do the odd sprint interval throughout the year, just to prevent those fast muscle fibres fading. Use it or lose it is what they say as you get older. But, peaking for the hill climb season, these short and intense intervals can see a big increase in 3-5 minute power, which is what hill climbs are all about. Personally, I really enjoy racing up hills. I prefer the session without the sprint intervals to start with. This is because you arrive at the proper ‘five minute’ hills already tired and you can’t really race. But, if you want to train all three muscle fibres, I’m sure the pyramid intervals work. I also enjoy recording my times up different hills, it gives a sense of where you are at, and what kind of progress you are making. It is especially good in the early season, where you can easily knock off time from your seasons best. But, if you’re tired from sprint intervals, you can’t beat your own times. Great insight Tejvan, in terms of recovering from the intervals, do you simply ride until your legs feel fresh again and then hit the next interval? I went on a session last night with the intention of doing 5 intervals on one hill and 5 on another. The first being 0.8 miles at 7% which currently takes me around 5 minutes and the next being on a 0.3 mile hill also at 7%, currently taking me between 1.05 and 1.20. The only recovery I allowed myself was recoving my breath at the top and the roll back down the hill so I only managed 3 of the first and then 4 of the second. Would I be better recovering sufficiently so that I’m fresh to attack the interval again rather than attempting straight away? Or am I confusing Intervals with repeats? 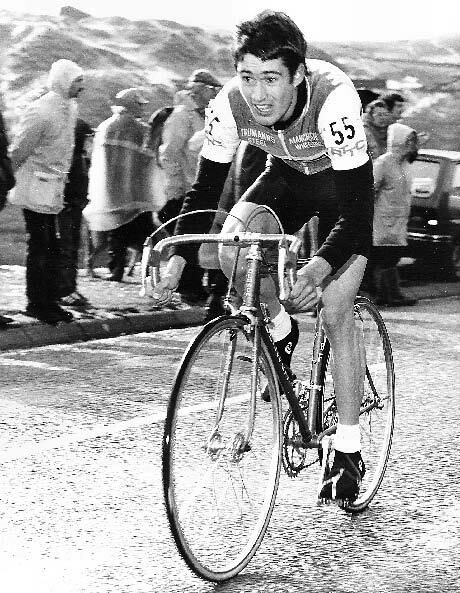 The Gordon Wright method of intervals, is to allow a considerable period of soft-pedalling so that when you tackle an interval you are reasonable fresh and you can make it a ‘high quality’. This means interval sessions can last quite a while. A good pyramid session where I stick to long time gap in between intervals can take up to 3 hours. At this time of the season, I’m less strict. I just ride to the next hill, that maybe 3 mins or 7 mins. Thanks Tejvan, good to know. I would like to know how many intervals you would recommend I do? I’ve just finished a season of road racing, I took a couple of weeks of late July/early August to rebuild a base with a few efforts up some of the top 100 climbs, before ending up getting ill 3 weeks ago. My average heart rate was 202bpm in the Buxton cc hillclimb, so I’m in good enough shape to push myself, however I’m only 18 so haven’t built up as much resistance as yourself. Hard to say because it depends on your recovery and general fitness. I used to just start off by doing a few at hard intensity, and then keep going until you feel it’s not worth doing any more. This has been a great help Tejvan. I have just bought a power meter and hoping to improve my climbing and FTP and improve my training. Just to clarify, early on in the season, you aim to go 20% higher than your FTP on the hill repeats for a 5min climb? Roughly, but I ride it more on feel that particular numbers. I just came across this post, some great tips there. 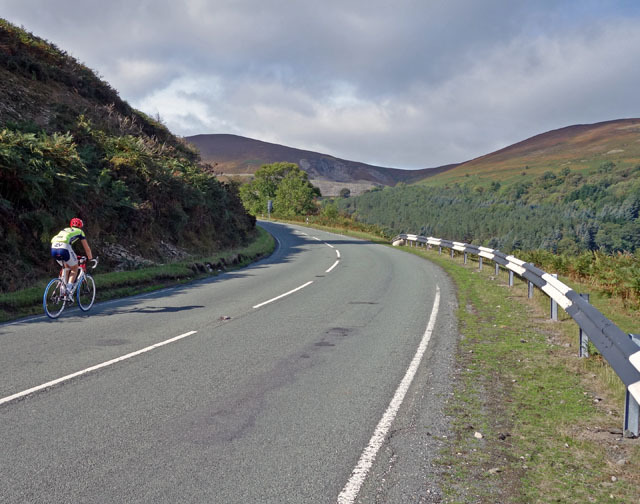 How do you go about selecting which hills you’ll be doing your intervals on? What sort of gradients would you go for? Do you seek out hills you know will take that long, or do you just stop and turn back downhill when you hit the time limit? I’ve been looking around for guides about improving my climbing, but they all seem to neglect to mention how to select the training hills! Hi Glen, It doesn’t matter so much. For time trial training, I would chose 5% so you can do in saddle. 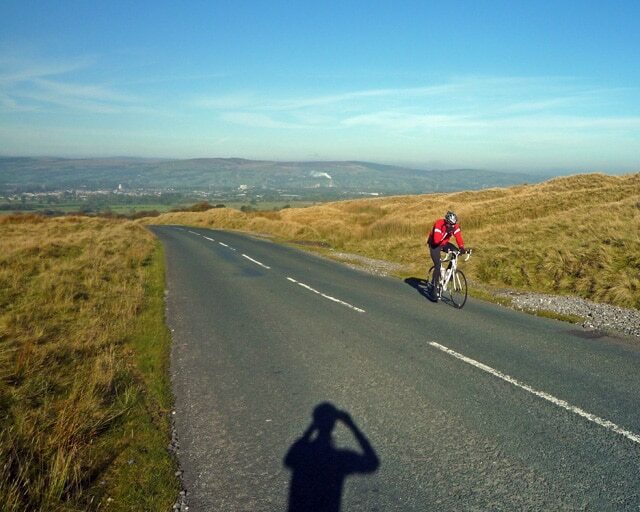 Training for steep hill climbs, I will seek out similar 15% plus hills.